Guitar amp simulators, loved by many, loathed by many. You can not be a guitarist in society today without hearing names such as Kemper, AmpliTube, Guitar Rig, the list goes on. As many of us have delved into recording at home with our own reasonably/not so reasonably sized bedroom/garage home studios, the idea of having a room dedicated solely to building up a collection of high quality tube and solid state guitar amps and heads, loads of effects and rack mounted gear has for the most part, been dashed. Many of us, can find solace with the number of hardware and software emulators that there is on the market today for guitarists these days. In the modern technological world we live in now, it is possible to get any sound you could ever want out of most amps. But with the huge advancements in guitar amp and effect simulation both software & hardware, guitarists are left spoilt for choice. 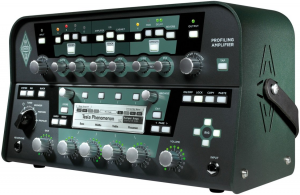 With the portability of these hardware devices (Kemper & Axe FX) and software (e.g. laptop with Guitar Rig, AmpliTube etc.) It is clear to see why they have taken over the old mentality of touring with racks of effects and stacks of Marshall amps! While massively reduced physically in size, the sound you can get out of these emulations is second to none. First we will have quick look at the main players in the hardware area. Kemper and Axe Fx, these two are continually put into the same “which is better” category (think Windows Vs. Mac arguments). At the heart of it the two products do different things. Then we will look at the various software options that are available. The Kemper runs a system called Profiling, Profiling is a technique where the exact tone and feel can be extracted from an amplifier, a sonic DNA is what Kemper call it themselves so you can take that exact tone and sound you have from your amp at that specific time and reintroduce at a later stage. Additional changes can be made to the profile after capturing so you can really focus in on the minor details like EQ and such. Boasting a preset library of all the top amps in the world that are already profiled into the Kemper upon purchase. Paul Gilbert (Racer X) to producer Andy Sneap to Mark Hoppus (Blink 182) are all credited with using the Kemper. 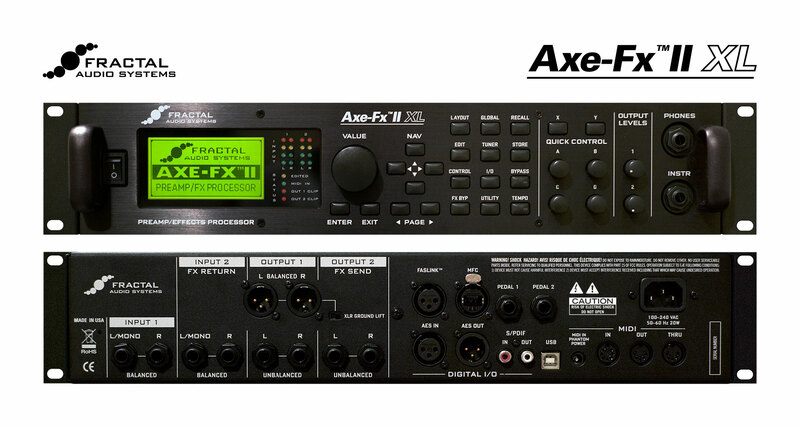 The Axe FX is an amp modeler, claiming that they are the world’s most powerful all-in-one guitar processor offering two state of the art DSP’s. The Axe FX boasts 150+ factory speaker simulators with the addition of a possible 512 user Cabs. So the user can create up to 512 of their own personal speaker choice presets. The Axe FX also has a number of built in effects that the user can add as they please, including FX Loops, multi-band compressors, drive, ring-mod and many more which gives the AXE FX a serious arsenal of routing abilities and along with a footswitch for live situations you could have an entire tour of sounds programmed into the Axe FX before taking off! Notable users include film composer Danny Elfman to Steve Vai to Guru Ganesha are all using the Axe FX so there is no lack of popularity! There doesn’t seem to be any clear cut winner nor should there be. Whenever there is two or more of a similar thing people will always argue over which is better, but when it comes down to it it’s all to do with personal preference and since everyone is different, each to their own! Life is too short for arguing over which is better! We recommend trying them both out and see which one works best for you! Both pieces are amazing and whatever you’re looking to do with your sound, either of these would be an amazing addition to any guitarists arsenal. Guitar amp software simulation has come on in leaps and bounds over the last 6 years or so. There is so many options to choose that these days it is hard to decide on just one! Many will know of or at least heard of Guitar Rig. The guitar simulator that’s brought to us by massively popular Native Instruments. Guitar Rig has a massive library or presets and built in amps, effects and cabinets. You can combine your own ones together to create your own personalised presets, which can be saved and then recalled at a later stage. 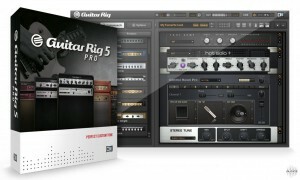 Guitar Rig Pro 5 (at the time of writing) comes with 17 amp head models all based on real life amps. Vox, Marshall, Hi-watt, Orange, Mesa Boogie, Ampeg are all included and each has a matching cabinet to go along with it. However for legal reason the amps can’t actually be named as their real life versions. (Weird, I know and a particular pet peeve of mine). These can be mixed and matched along with the racks of effects that one has at their disposal, and when all combined you can really create some interesting sounds. Reverbs, delays, modulations, loopers all at your disposal. Guitar Rig’s effects are fantastic and work well on other elements too, not just guitars! Try it out for yourself! In all honesty Guitar Rig seems to be the go-to guitar software for most musicians and producers, but there are some seriously great others products out there, one that really can match Guitar Rig pound for pound in my opinion is Waves GTR3. GTR3 offers the same ideas as Guitar Rig, available selections we have are Amps, Stomps, ToolRack and Tuner within the GTR3 plugin. All mostly quite self explanatory, amps is the amp selection offering you 25 modeled guitar amps and 7 bass amps to choose from cabinet and microphone selection are also available here. Stomps is the stompbox effects all the usual suspects appear here, distortion, phaser, panner, octaver, wah-wah among many others. Then we’ve got ToolRack which can combine any 2 GTR amps, 6 GTR stomps and the GTR tuner. Before I forget GTR tuner is a simulated rack tuner. You can get some very realistic sounds out of GTR3 and it comes loaded with some top notch presets to whet your appetite and show you just what is capable from GTR3. AmpliTube is another top runner in the Guitar Amp Simulator world. 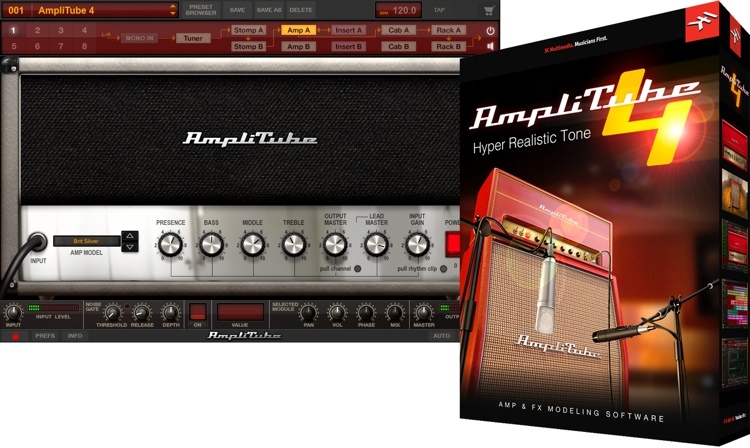 With separate apps for iPhone, iPad and iPod touch AmpliTube has grown to be the go-to amp sim for iOS users. AmpliTube comes in three main forms, there is the Custom Shop version which is the free, AmpliTube 4 is the middle of the road option. Offering us plenty of top quality amp simulation as well as a massive array of mic and room choices, for the hobbyist guitar player this is suited to. Then towards the top of the list we have AmpliTube 4 Deluxe which includes everything you get in AmpliTube 4 as well as an additional 101 pieces of gear! Then finally at the top of the list, we have AmpliTube 4 MAX. 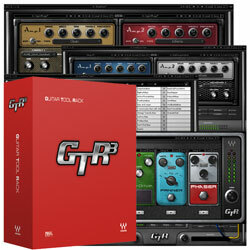 This version offers you 80 amplifiers, 92 cabinets, 88 stompbox effects, 24 rack effects, 19 mics and 2 tuners! Included in this version is all the expansions AmpliTube would normally be charging you for. So you get all the branded amps and effects. Included are Fender, Orange, Vox, Ampeg, Seymour Duncan, Wampler, Morley and many more. For any big studio that records a lot of guitars, the AmpliTube MAX would have to be the choice. With the variety and choice you get with the MAX package it is hard to see past it. All three of these are capable of running standalone or within a DAW of your choice, so even if guitar tracking isn’t your thing but you gig regularly, you can set up a whole host of amps for your next show and off you go, no need for lugging around heavy amps and flight cases, just a laptop and your guitar will do the job! Of course many will always argue that you can’t replicate the sound you get from recording a real guitar amp be it a tube amp or solid state. Although this may be somewhat true, the tone and versatility you can get with amp sims is incredible these days and it will only get better as time goes on and technology advances.